Robert (Bob) I. Wehr, Jr, 68 born in Hamilton, OH passed away October 29, 2018 of pancreatic cancer. He was the beloved son of Jean Wehr (nee Alexander). Bob was preceded in death by his father, Robert Wehr Sr. and sister, Barbara Wehr Szydlowski. He is survived by, along with his mother, sister, Nancy (Ted) Moran; brother-in-law, Norman Szydlowski, and two nephews, Andy Szydlowski and Michael (Madelyn) Moran. 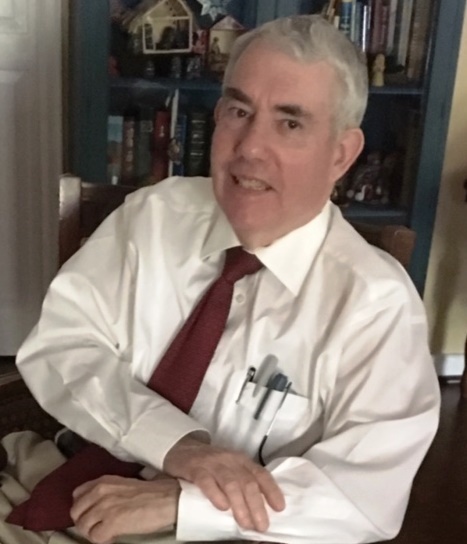 Bob was retired as a sales associate in the men’s suit department at Dillard’s where he enjoyed the relationships he formed with many regular customers and coworkers. He enjoyed wood carving and created charming folk art characters, some sold at Symmetry Gallery on Symmes Rd. Fairfield. He will always be remembered for his artistry, generosity, and kindness. Bob was a member of Hugh L. Bates Lodge 686 F&AM; Hamilton Chapter #21 RAM; Hamilton Council #19, R&SM, Middletown Commandary #71; the Scottish Rite Valley of Cincinnati; and a long time member of Fort Sumter Civil War Roundtable. He was dearly loved by his family and will be sorely missed. The family will receive friends at 10:00 A.M. on Saturday morning, November 3, 2018 until the hour of the Celebration of Life Service at 11:00 A.M., Fairfield Church of Christ, 745 Symmes Rd, Fairfield, 45014. The family wishes to thank the staff of OHC who provided attentive and compassionate care to Bob during his struggle with a difficult diagnosis.